Beautiful crosshead wash basin taps with a highly stylish water spout. This 3 piece tap set has sculptured crosshead handles and is a contemporary version of an old tap design. 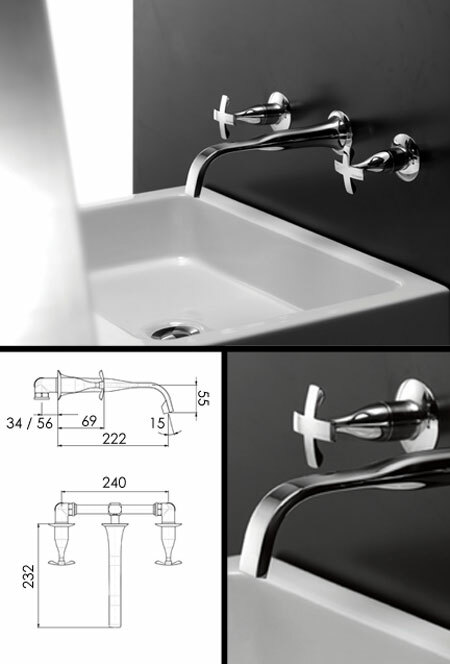 These wall taps make a lovely design choice in both traditional and classically contemporary bathroom design.